Pad vs. Tube? How Did Dr. Rife’s Instruments Work? Since the first writing of this article more information has come to light (John Marsh’s papers & tapes) that made it so we had to correct the major errors that were in it. We believe that this new documented information will finally answer these questions: who found the audio frequencies and what instruments used them? And what frequencies were Dr. Rife’s true M.O.R.s? When new information is received that sheds greater light on Dr. Rife and the history of those who worked with him then it becomes necessary to update this article. In this article we will examine the way Dr. Rife’s instruments worked. We will look at the evidence by quoting the sources such as Dr. Rife, John Crane, John Marsh, Dr. Couche, Dr. Lara, Dr. Stafford and Bertrand L. Comperet, Rife’s attorney in the 1938 Beam Ray Corporation trial, and later John Crane’s attorney for Life Labs’ trial in 1961. Hopefully anyone who reads this article will have a better understanding about Dr. Rife and the methods he used. Our goal is to try to give people information so that they can make a more informed decision. We have tried to explain in laymen’s terms so that anyone can understand. We hope this will be helpful. What is a ray tube and how does it work? There are limitations to ray tubes that need to be understood. It has to do with the laws of physics. Ray tubes when properly tuned are very efficient. About 95% of the energy that you put into a ray tube comes out. Dr. Rife’s instruments put out about 50 to 60 watts to the ray tube. This means about 50 watts came out of the ray tube. You have to divide the 50 watts that come out of the ray tube by four (because of the laws of physics on signal loss) for every foot that you move away from the ray tube. So at one foot away from the ray tube you only have 12.5 watts. At two feet you only have 3.125 watts and at 3 feet you only have about .78 of a watt. This is important to understand because Rife and the doctors that used his equipment put the ray tube within a few inches of the patient’s body. Dr. Couche said that he would sometimes touch the body of the patient in the area that needed to be treated. Dr. Robert P. Stafford said when we asked him, that when he treated cancer patients he would put the ray tube within a few inches of the body and treat a 6 inch square area. He would move the ray tube up and down and back and forth so that the whole 6 inch area was treated. He said that he did this because of the way the phanotron ray tube worked. The design of a phanotron ray tube makes it partially directional and concentrates its energy or power into a small area. With the power loss from the ray tube it is easy to understand why Dr. Stafford, Dr. Couch, Dr. Rife and the other doctors used the ray tube right next to the body. We have built an AZ-58 ray tube instrument (a 1950’s Rife instrument made by Life Labs) from schematics that are on Stan Truman’s site, http://www.rife.org, under AZ-58 research information. This instrument is almost the same as the original 1930’s Beam Ray instrument built by Philip Hoyland found at http://www.scoon.co.uk/Electrotherapy/Rife/BeamRay/index.htm, except it doesn’t have any harmonics in the carrier frequency and it uses square wave audio frequencies. We tested the AZ-58 for penetration and found that at about 32 inches from the body full penetration of the frequency emitted from the ray tube was lost. From the tests made, it takes at least 1.25 watts to penetrate all the way through the body. We are not trying to upset or offend any manufacturers of ray tube instruments but the laws of physics must be understood no matter how much we may dislike it. With this said, many ray tube instruments built today recommend that you stay from 3 to 6 feet away from the ray tube. These instruments put out about 125 to 250 watts into the ray tube. With 125 watts you only get 31.25 watts to the body at one foot. If one sits 3 to 6 feet away from the ray tube then, according to the laws of physics, there may not be enough power to fully penetrate the body. Since Dr. Rife always tested his instruments for penetration, and used the ray tube right next to the body, I believe he understood these limitations. Some use a long cylinder type ray tube that stands straight up or lays down sideways. These put out in 360 degrees with no directional effect and are called omni-directional. This means that the 125 watts that come out of the ray tube are spread out in 360 degrees. With the energy spread out in 360 degrees at a distance of 3 to 6 feet away, one can see that by the laws of physics the power penetrating the body is minimal. We are not questioning the effectiveness of ray tubes, just the distance in relation to the power loss. We are not doubting that there may be physiologic effects from ray tubes at a great distance (50 to 100 feet) but the real question is can the frequency fully penetrate the body and kill an organism at that distance? What power levels did Dr. Rife use? Dr. Rife’s #4 instrument and the instrument built by Beam Ray Corporation of the 1930’s and Life Labs of the 1950’s put about 50 to 60 watts into the ray tube. Because some of Dr. Rife’s information about instrument power levels is confusing, most of us have thought that Dr. Rife’s instruments put out 400 to 600 watts to the ray tube but new information show this is not correct. The problem has been that the people who wrote down this information were incorrectly giving the power usage of Rife’s instruments as the output power. Dr. Rife’s instruments used 400 to 600 watts but they only put out about 50 to 60 watts to the ray tube. When the 1930’s Beam Ray Corporation instrument power levels were measured, it showed that they used about 450 watts and output about 50 watts to the ray tube. When measured, the AZ-58 1950’s instrument used about the same 450 watts but output about 60 watts to the ray tube. In the paper “Development of the Rife Ray and use in devitalizing of pathogenic micro-organisms” it states: “The frequencies were generated by a tube oscillator with many stages of amplification, the final stage being a 50 watt output tube.” Now this output tube should not be confused with the ray tube. These are the old tubes used in radios and televisions. The main output tube in the AZ-58 is an 812A tube that is rated at 85 watts. You can get more power out of it but you will also shorten your tube life. The 1930’s Beam Ray instruments used a similar tube with about the same power output. Dr. Yale’s Beam Ray instruments were putting out a lot more power than Dr. Rife felt was safe. If Yale’s instruments were made to put out the maximum power that the main output tube could produce then they probably were putting out around 100 watts. It may be that Dr. Rife was just over cautious but we believe his statement should be considered when one looks at power levels of 100 to 300 watts. These kind of power levels are not necessary if a phanotron tube is used. Is it necessary to use a ray tube to put out the frequencies? It’s amazing how many people think unless it has a ray tube it is not Rife! We will now take a look at the evidence that a pad instrument works just as well as a ray tube instrument. In some cases, because of the electrical stimulation like a tens instrument, they may even work better than a ray tube on some conditions. These pads or hand cylinders act just like an antenna when in contact with the body. But only if you have an RF carrier frequency. Without an RF carrier frequency the audio frequencies will only go through the connective tissue and not the cell. Without the RF carrier they still work well and are a lot like a tens machine. We will cover these audio frequencies and a carrier frequency later in this article. There is no possible way the light from the ray tube could have penetrated that fifteen inch concrete floor. It is obvious that the light didn’t make any difference but that it was the frequencies that were broadcast through the ray tube. It is easy to see that there is more than one way to deliver the frequencies. The ray tube could be easily replaced with metal hand cylinders and foot pads. Pad instruments come in contact with the body. With an RF carrier they turn the body into an antenna and work on the same principle as a metal antenna or ray tube. People have been using pad instruments without an RF carrier for almost 45 years now and have had good results. But to work the way the ray tube instruments that used low audio frequencies did an RF carrier frequency is necessary. There is some confusion about exactly what Dr. Rife did in the early years, from 1920 to about 1933. This is because very little information has survived. His lab notes detailing 26 conditions and their frequencies have been preserved. The earliest information we have shows that he used frequencies ranging from the audio range to just over 17 MHz. He used many different carrier frequencies at this time. People are beginning to experiment with these frequencies and are claiming very good results. The operation of the Rife Ray #4 and the instruments that used audio frequencies built in late 1936 by Philip Hoyland and Beam Ray Corporation of the 1930’s as well as those built in the 1950’s by Life Labs are somewhat understood. We will be looking at these instruments and how they worked. Much of the information we currently have has come from a 1950’s AZ-58 built from schematics and the only known original 1930’s Beam Ray instrument which has been repaired. Using an oscilloscope, Philip Hoyland’s audio frequencies are now known and their correlation to the 1950’s instruments that also used audio frequencies. In order to follow the evolution of Rife technology, we will first examine the Rife Ray #4 that was built in 1935 and his earlier instrument that he used in 1934. Then we’ll look at the 1930’s Beam Ray Corporation ray tube instrument followed by the ray tube and pad instruments built by Life Labs in the 1950’s. Had two separate oscillators that produced 2 frequencies from 87,000 hertz to 22.5 MHz. Mixed two sine wave frequencies. May have had a carrier frequency higher than 22.5 MHz. Power usage about 450 to 600 watts. Output to the ray tube about 50 RF watts. The following information comes from the Beam Ray trial papers that are on Stan Truman's site www.rife.org and various other documents. Anyone that wishes to can read these papers. We will tell the story and quote from the various documents as necessary. 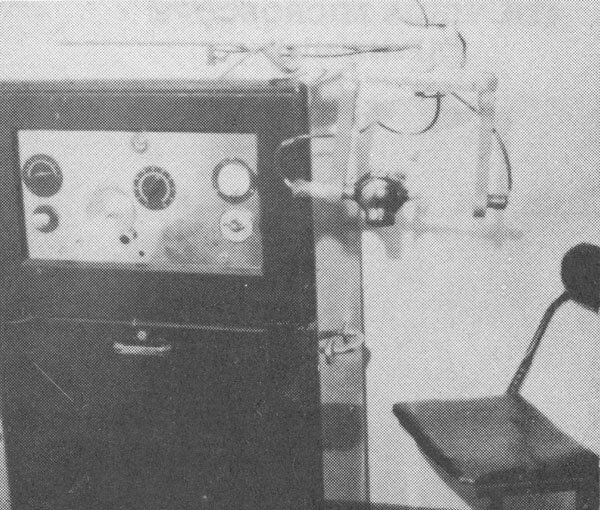 Philip Hoyland was hired by Dr. Milbank Johnson and the University of Southern California Special Medical Research Committee in 1935 to build a more up to date portable frequency instrument that could be used for research by doctors. Dr. Rife’s 1934 instrument was very cumbersome and almost filled a whole room. In order to build this instrument Hoyland needed to know what frequencies Dr. Rife was using. So he brought to Dr. Rife’s lab what we would call today an oscilloscope to read the frequencies. Up until about 1933 there was no such instrument that could easily and accurately measure frequencies. It was very difficult to read the correct frequencies prior to this time. Judge Kelly: “When you constructed this Beam Ray machine you had a dial representing the frequencies or harmonics? Hoyland was able to accurately read the correct frequencies with the equipment he had brought with him to the lab. It’s not that these earlier frequencies didn’t work, THEY DID! But the frequencies that are on Rife’s lab notes must have been harmonics and not the fundamental frequencies. We now know from the trial why there were different frequencies. Hoyland then built the Rife Ray #4 and it used the correct frequencies that he had read. Dr. Rife said that sometimes it took months to find the frequency for just one organism. When we think about this, it is not logical or even possible that in the space of 5 to 6 months Dr. Rife would go and look for new frequencies for the microorganisms when he believed he already had them. Below are the Rife Ray #4 frequencies. The Rife Ray #4 Frequencies that we have already listed and the lab note frequencies listed in the following list are within the range that Dr. Rife described. The question we have to ask ourselves is if Rife’s frequencies were all in the audio band why would he have made these statements? The Rife Ray #4 machine was the instrument he built after reading these frequencies. Anyone looking at the #4 frequencies will notice that none of them are audio frequencies. The lab note frequencies have only two audio frequencies and they were not used in any of the instruments of the 1937-39 Beam Ray Corporation or the 1950’s Life Labs instruments. Used a single 4.6 MHz sine wave carrier frequency. Modulated sine wave audio frequencies onto the 4.6 MHz harmonic carrier frequency. Power usage about 450 watts. Output to the ray tube about 50 RF watts. Comperet: “Did Mr. Hoyland tell you at any time in the fall of last year that the machines he was manufacturing for Beam Ray corporation operated on a principle fundamentally different from Dr. Rife’s machine? We will discuss the lowering of the frequencies later when we look at the 1950s instruments. These audio frequencies have been attributed to Dr. Rife and this is what has caused all the confusion over the past 30 or 40 years. They have also been attributed to John Crane. Now for the final proof. Below are the audio frequencies that were found by Philip Hoyland and used in the 1930’s Beam Ray Corporation instruments. The credit for re-discovering these frequencies, which were taken from an original Beam Ray instrument, should be given to Aubrey Scoon and the British Rife Group. Information about the instrument and its frequencies can be found at http://www.scoon.co.uk/Electrotherapy/Rife/BeamRay/. This interview took place 20 years after the 1934 clinic ended. We now know that audio frequencies were not used in the 1934 clinic but were discovered in late 1936 by Hoyland. It is apparent that Dr. Couche was getting the Beam Ray Hoyland instruments mixed up with the earlier high frequency instruments built in 1936. Couche bought an instrument in early 1936. He also bought 3 instruments that used audio frequencies from Beam Ray Corporation, so it would be easy to get things mixed up. The instrument bought in 1936 would have been patterned after the Rife Ray #4 instrument. Twelve of these instruments were built in 1936. These instruments had no band or switch settings on them. The #4 instrument had switch settings numbering from 1 to 10 covering a frequency range from 87,000 hertz to 22.5 MHz (Megahertz). It could output 2 frequencies at the same time. These 12 instruments most likely covered a frequency range from about 87,000 hertz to 2 MHz and also output 2 frequencies at the same time. In this range (100,000 hertz to 2MHz) they would not need any band or switch settings. The original #4 was a clinical instrument and that is why it had such a high frequency range. The 12 that were built in 1936 and used by doctors would not have needed to operate any higher than about 2 MHz because the highest frequency used on a microorganism was 1,604,000 cycles. What the carrier frequency was is not known but it would have been at least 3 or 4 MHz. The instrument in the photo on the left was Dr. Couche’s instrument that he bought in 1936. You can see the two frequency dials that made it so that they could run two frequencies at the same time. This was a unique characteristic of the instruments patterned after the #4. This instrument of Dr. Couche’s was purchased by Dr. Tully in 1952. On the John Marsh Rife CDs, Dr. Rife and Dr. Tully talk about the double bubble tube and how it was all dark inside. Dr. Rife told Dr. Tully that this tube was the best ray tube he ever had. Rife said he used this ray tube for over sixteen years. If you look closely at the photo on the left you will see how dark the ray tube was. The photo on the right is of the 1939 Beam Ray Corporation instrument. This instrument used Hoyland’s audio frequencies. It only output 1 audio frequency at a time and this is why it only has one big frequency knob in between the two smaller knobs. The smaller knobs change the amplitude and the frequency band settings. The 1950’s ray tube instruments were patterned after these instruments but with some changes. Could change between 2.2 and 4.8 MHz sine wave carrier frequency. Modulated square wave audio frequencies onto a sine wave carrier frequency. Power usage about 460 watts. Output to the ray tube about 60 RF watts. Marsh and Crane then decided they would like to work with Dr. Rife and try and get the frequency instruments built and back into doctor’s hands to help people who were suffering from many incurable diseases. From earlier quotes we learned that Vern Thompson had in the 1930’s worked on Dr. Yale’s Beam Ray Corporation instruments. He knew these instruments inside and out and this is why Marsh and Crane had him repair the instrument that Dr. Rife gave them. Vern Thompson also knew the frequencies these Hoyland instruments used. From Rife’s deposition we learn that he and Vern Thompson gave Crane the frequencies in 1950. Dr. Rife did not approve of Hoyland’s instrument so he would have given him the Rife Ray #4 frequencies and possibly the lab note frequencies. On the John Marsh Rife CDs Henry Siner reads from a lab note that was for the BX cancer virus. The frequency that he read was 1,604,000 cycles per second for the BX and this also confirms the frequency used in the #4 instrument. So it is clear that Dr. Rife had given him his frequencies, not Hoyland’s. 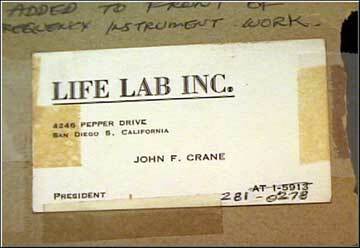 Crane eventually received almost all of Rife’s information and equipment. For some unknown reason Rife, Crane and Marsh started building instruments that used audio frequencies. It may have been that they were the easiest to build because they already had a working Beam Ray instrument, or maybe it was because they had worked so well for the doctors in the 1930’s. Hoyland’s instrument had achieved incredible results. The underlying technology was still Dr. Rife’s. He had discovered this technology and Hoyland had built an instrument that used harmonics to get to Dr. Rife’s fundamental frequencies that he had used in the Rife Ray #4 instrument. Because of the results of these doctors, Dr. Rife must have relented enough to at least give them a thorough test. It really doesn’t matter. Whatever the reason was they built audio frequency instruments. For some reason they also changed Hoyland’s instrument to make their own. Hoyland had used a harmonic carrier frequency. Rife did not like the harmonics and had openly expressed in letters his dislike for them. John Crane said that the first instrument they built didn’t work and it took a few years to get it to work. Let’s take a logical look at the changes they made. When they changed the harmonic carrier frequency in the instrument to a non-harmonic carrier frequency and took out the gating the sine wave audio frequencies wouldn’t work anymore. The audio frequencies are not true M.O.R.s (M.O.R. Stands for mortal oscillatory rate. Dr. Rife said this is the frequency that kills the organism). We know that the Rife Ray #4 frequencies were the true M.O.R.s. Hoyland’s instrument needed a harmonic carrier frequency to work. All the audio frequencies used in Hoyland’s instrument were to interact with the harmonic carrier and gating to produce the true M.O.R.s. It most likely took them a little while to figure out why the instrument didn’t work. This explains why it took a few years to get the instrument they were building to work. The only way to get the harmonics back without changing the carrier frequency back to a harmonic carrier was to put harmonics into the audio frequencies. A square wave audio frequency would do this and this why they changed from sine wave to square wave. The next thing that was changed was the frequencies. Rife, Crane and Marsh lowered Hoylands frequencies by a factor of 10. Marsh said they came up with the frequencies using mathematics. Surely they had the frequencies of Hoyland’s instrument. Vern Thompson knew what frequencies Hoyland’s instrument used and would have given those audio frequencies to Rife, Crane and Marsh. Once you change the frequencies from sine to square wave you can lower them because of the harmonics the square wave frequencies produce. So it is logical to assume that they just lowered Hoyland’s frequencies and used them in the AZ-58. There are only a few variations in the frequencies and these adjustments may have been necessary in order to get them to work. Most people have felt that the lower audio frequencies were John Crane’s invention. The facts have shown that they were Hoyland’s lowered by 10 times. Others have felt that Crane took advantage of Dr. Rife and did his own thing. This may be true in some things that took place later on in the 1970’s and 80’s but the evidence does not support this in the 1950’s and early 1960’s. Here is a quote from the Marsh Ohio and Gonin papers that are on www.rife.org under the John Marsh paperwork. Dr. Rife, Marsh and Crane were talking at great length about his trip to Ohio to see Dr. Stafford. In the Gonin papers they talked about the frequencies. I would recommend that everyone read these papers because they show that Rife, Crane and Marsh worked as a team and that Marsh and Crane considered the AZ-58 instrument to be Rife’s instrument. When you read these documents the facts stand out that all three of them knew the frequencies and they were not Crane’s invention. Marsh and Crane considered the instrument to be Dr. Rife’s. Rife also had a plaque on the front of the instrument with his name on it. It is also clear from Marsh’s papers that Dr. Rife was not on the sidelines but was a full partner in Life Labs. He fully knew how the instrument worked and was as hopeful as both Crane and Marsh that it would work using audio frequencies. But when Rife was asked about the frequencies in about 1957 he said that they were from the audio band to the broadcast band of frequencies. This tells us that he was still reserving his final decision about the audio frequencies until after the instrument was fully tested. Dr. Rife said he never fooled himself and I don’t believe that he did on this AZ-58 instrument. Clearly Dr. Stafford didn’t believe that the audio frequencies were correct. Little did he know they weren’t even close to the true frequencies. The Rife Ray #4 frequencies were the correct ones and the AZ-58 could not output these frequencies. Whatever was told to Dr. Stafford by Dr. Rife through John Marsh there was no way that they were going to tell Dr. Stafford he wasn’t using the correct frequencies. This would ruin everything that they had worked for. Besides they were testing the AZ-58 to see how well it would work using audio frequencies. At this time it is apparent the AZ-58 was not performing as well as Hoyland’s instrument. We need to remember Hoyland tested his instrument using Dr. Rife’s microscope. When Henry Siner was in England testing Hoyland’s instrument he reported that it would kill the organisms while they were looking at them under Rife’s microscope. Dr. Stafford found out the AZ-58 was not capable of doing this. 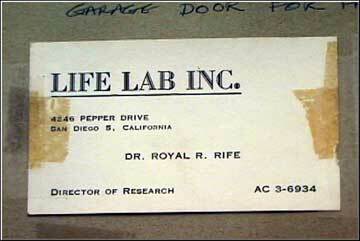 In the 1950’s Rife no longer had a lab for testing any microorganisms. What are harmonics and how do they work? We have talked a lot about harmonics of frequencies but have not explained what they are and how they work. All frequencies produce harmonics. Depending on the wave form they can produce a few harmonics or a lot of harmonics. Any frequency, when using a square wave, can produce infinite harmonics if you have infinite power. Of course this is impossible. Some instruments may have 1 watt and others 50 or 100 watts of power. So the limit of the harmonics is based on the power that you have. A simple way to understand harmonics is to think of a pebble thrown into a pool of water. Think of the pebble as the frequency and the ripples as harmonics. Each ripple gets weaker the further away it gets from where the pebble was thrown into the pool. So harmonics of frequencies also get weaker as they go further up or down from the main frequency. Square wave frequencies have the greatest harmonics and this is most likely why they were used in the 1950’s instruments. Dr. Rife’s true M.O.R. or frequency for cancer was 1,604,000 cycles per second or 1.604 megahertz. Dr. Rife said on the John Marsh CDs that harmonics are in 4ths, 8ths, 16ths, 32nds, 64ths and so on. Notice that the harmonics go in even numbers. If you have a frequency of 2 hertz (2 cycles per second) your first harmonic is 4 hertz and the next one after that is 8 hertz, then 16 hertz. The harmonics will keep going up in this manner infinitely as long as you have the power to drive the harmonics. Hoyland built his instrument to work on harmonics so that no one would know the true frequencies. So the audio frequencies were not true M.O.R.s. In all cases these audio frequencies were not even true harmonics of Rife’s true M.O.R.s. Hoyland designed his instrument to work in such a way that it was the interaction of the sine wave frequencies with the harmonic carrier and the gating that produced true harmonic frequencies. He must have used some mathematical computations in order to build his instrument. But no one knows what those computations were. Now we come to the 1950’s instruments. These audio frequencies used in the AZ-58 were not true M.O.R. frequencies either. They did not even produce true harmonics because they were Hoyland’s frequencies lowered. The AZ-58 was not built like Hoyland’s instrument and had no capability to produce the true harmonics of the Rife Ray #4 frequencies. Why then do these audio frequencies which are not even true harmonics work on so many different ailments? Maybe it is because of the ripples in the pool that we described earlier. This is the only possible way these audio frequencies could work as well as they did on everything but cancer. To get the harmonics of a frequency all you have to do is divide the frequency by 2 over and over until you get to the audio range of frequencies. The true M.O.R. frequency for cancer was 1,604,000 hertz and the true audio frequency harmonic is 1566.4 not 2128. The other frequency used for cancer in the AZ-58 was 2008 and it’s also not a true harmonic of 1,604,000 hertz. As you can see the frequencies are off as Dr. Stafford suspected. Another problem was the accuracy of the instruments built back in the 1950’s. Dr. Stafford had to regularly calibrate them to keep them on frequency and mentioned this problem to Rife, Crane and Marsh. As mentioned you can only drive harmonics of a lower frequency to a higher frequency as long as you have enough power. When you take the frequency of 1566.4 hertz and try and drive the harmonics of that frequency to 1,604,000 hertz or cycles per second it is all but impossible to do. One million six hundred and four thousand cycles per second is the 10th harmonic of 1566.4. In reality this is the 10th ripple in the pool of water and this is why it is almost impossible to get this frequency to work on cancer. Power is the problem with the 10th harmonic. Every harmonic only has about half the power of the one it came from. For a very simple illustration, if we had an instrument that output 50 watts of power we would divide 50 by 2. This would give us the power of the first harmonic which is 25 watts. The second only has 12.5 watts. The third only has 6.25 watts. By the 10th harmonic you only have .09 watts of power. If you had an instrument that output 300 watts (which is far more power than what Dr. Rife considered safe) it would only be .29 watts of power at the 10th harmonic. This is a very simple description, but it shows what we are up against when we use harmonic audio frequencies rather than the fundamental frequencies or M.O.R.S. Anyone can understand if you use the true M.O.R.s. you’re going to be far better off and have a better chance of success. Used round disks that came in contact with the body. Later changed in the 1960’s to hand cylinders or foot pads. Had no RF carrier frequency. Used the square wave audio frequencies used in the AZ-58. Crane and Marsh replaced the ray tube with a type of pad that they developed which came in contact with the body. From the documented information we have it was the high cost of building ray tube instruments that caused them to look at doing things a different way. In addition to being expensive to build, the ray tube could break very easily. They had many problems with them. I don’t believe Rife ever had a reason to look at doing things differently. Crane and Marsh did! They didn’t have the kind of money to spend that Rife did. Necessity is the mother of invention! Crane and Marsh used a Heathkit function generator to produce the frequencies. These Heathkit function generators had no built in carrier frequency on which to modulate the audio frequencies. Therefore, the carrier frequency was no longer used. Though Crane and Marsh achieved great results with these instruments, they did not use a carrier frequency. What would have been the results if they had used these audio frequencies with a carrier frequency? From what we have previously discussed in this article, the carrier frequency was very important. Rife would never have approved of using an instrument without a carrier. The positive part of using a Heathkit function generator in this way was that they were inexpensive ($200) and a lot more people could afford one. For this we owe John Crane and John Marsh a great measure of gratitude. Crane and Marsh proved that the frequencies worked the same whether applied through a ray tube or pads. Crane and Marsh made one mistake with these pad instruments. Because the Heathkit function generator that they used didn’t have a Megahertz (MHz) carrier frequency they didn’t use one. Rife and Hoyland’s instruments used some kind of carrier frequency. Audio frequencies will not broadcast; therefore, they are modulated upon the carrier frequency so that they will penetrate the body where they can devitalize microorganisms. In laymen’s terms, modulation is piggy-backing one or more low frequencies on another higher frequency. The frequencies travel together but still remain separate and distinct. Many instruments built today do not use a carrier frequency even though Dr. Rife’s did. If Rife could have removed the carrier frequencies from his instrument and gotten the same results, I believe he would have. As it is, Dr. Rife never removed the carrier frequency from any of his instruments. If a person wants to try and get the results that Rife had then a carrier frequency should be used. We realize that there are ray tube instruments today that do not use a carrier frequency. These use a High Electromagnetic field which will transfer the energy into the body. They appear to work very well. We are not trying to upset these manufacturers either. And we do not doubt that these instruments work. We know people that are using these instrument and getting incredible results. But what we are talking about in this article is the way in which Dr. Rife used a carrier frequency. Some people say that audio frequencies in a pad instrument without a carrier will only travel along the skin of the body and won’t penetrate it. In scientific studies on Bioelectric Impedance Analysis in the body it has been shown that audio frequencies will enter the body but will only travel in the connective tissues around the cells. Also in these scientific studies it has been shown that the closer you get to 1 megahertz the greater the penetration into the cell. At 1 megahertz the frequency will go straight through the cell and fully penetrate the body. This is why it is so important that a carrier frequency be used. A virus can enter a cell. Audio frequencies without the carrier will only work in the connective tissues but with a carrier frequency the audio frequencies can enter the cell where the virus is located. These kind of scientific studies and their importance were not understood by John Crane and John Marsh in the 1950’s and 1960’s. 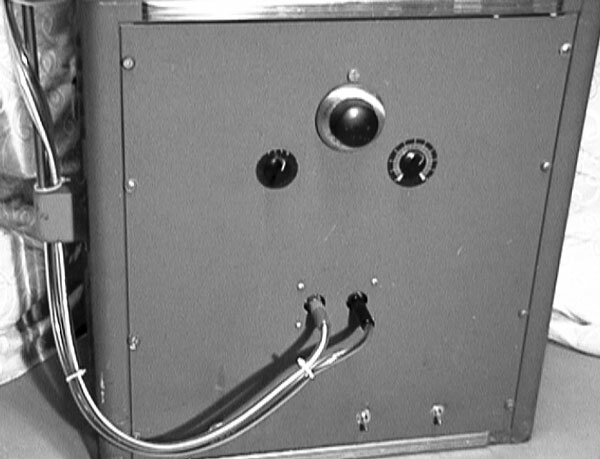 Rife’s instruments always used a carrier frequency. In summary, with all the historical information that has now come out in the past few years we finally know the truth about which frequencies were Rife’s true M.O.R.s. and where the audio frequencies came from. It was the release of the John Marsh information from Marsh’s nurse to AAA Production; the Beam Ray trial papers from the Rife Research Group of Canada; and the purchase and analyzing of the Beam Ray instrument by Aubrey Scoon and the British Rife group that made this possible. Up until now it has been impossible to figure out where the audio frequencies came from and which frequencies were used in the 1934 clinic. We hope that this information will be helpful. As more information comes out we will update this article as necessary.